The series of events began around 11:35 p.m. Tuesday when Coronado Police officers attempted to pull over the driver, who was in a Toyota pickup truck, in the 1300 block of Fourth Street, Coronado Police Sgt. Matt Mitchell said. The Toyota driver fled, leading officers on a chase across the Coronado bridge and onto a stretch of southbound Interstate 5, Mitchell said. At the last exit before the border, officers pulled out of the pursuit, Mitchell said. 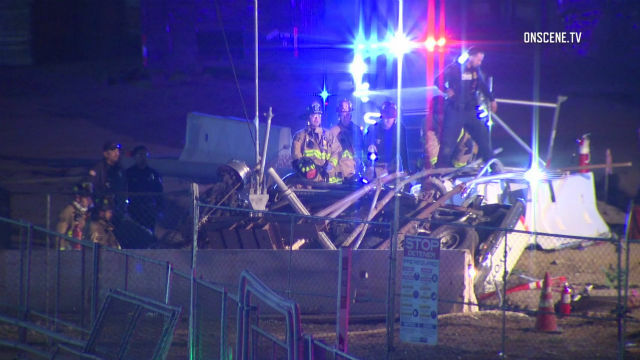 Around 11:45 p.m., officers were notified that the man had crashed at a curve in the roadway near the San Ysidro Port of Entry and the pickup truck had flipped onto its side. The driver was taken to UCSD Medical Center, Mitchell said. The extent of his injuries was not immediately available.